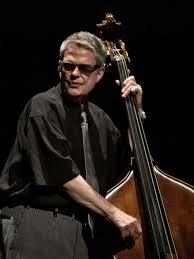 Charlie Haden, the legendary and influential jazz double bass player, passed away last Friday in Los Angeles at the age of 76. Haden enjoyed long associations with fellow jazz greats such as Ornette Coleman and Keith Jarrett. His death comes a month after passing of another important figure in American jazz, pianist Horace Silver (listen here). I learned at a very young age that music teaches you about life. When you’re in the midst of improvisation, there is no yesterday and no tomorrow — there is just the moment that you are in. In that beautiful moment, you experience your true insignificance to the rest of the universe. It is then, and only then, that you can experience your true significance. I want [students] to come away with discovering the music inside them. And not thinking about themselves as jazz musicians, but thinking about themselves as good human beings, striving to be a great person and maybe they’ll become a great musician. I always dreamed of a world without cruelty and greed, of a humanity with the same creative brilliance of our solar system, of an America worthy of the dreams of Martin Luther King, and the majesty of the Statue of Liberty…This music is dedicated to those who still dream of a society with compassion, deep creative intelligence, and a respect for the preciousness of life — for our children, and for our future.